47739 Robin of Templecombe, 37607 & 37612, 0M56, Carnforth, Thurs 8 June 2017 - 1516 1. 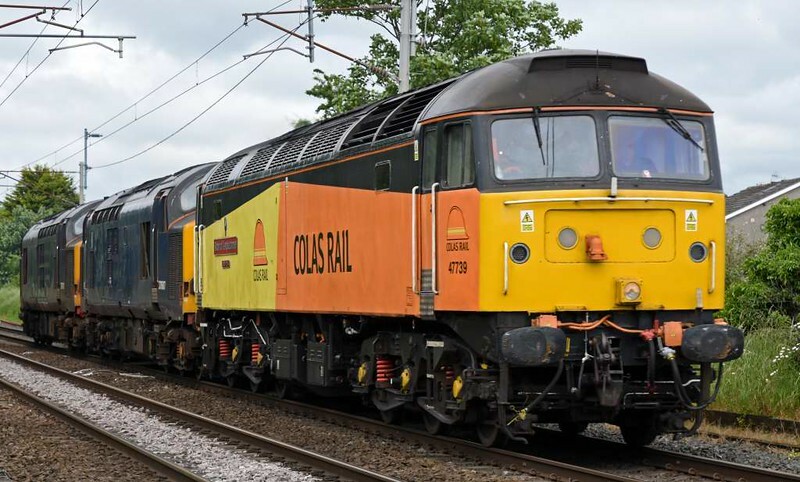 Colas Rail's 1414 Carlisle - Barrow Hill move. The former DRS 37s have been bought by Harry Needle and will go on hire to Colas after overhaul. 66433 had earlier brought them to Carlisle station from Longtown where they have been in store.